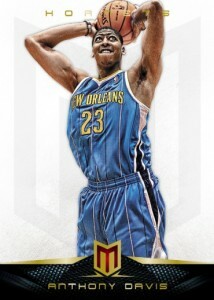 2012-13 Panini Momentum Basketball is the brand's hardcourt debut. Keeping with the high-end feel that highlighted 2012 Panini Momentum Football, every box comes with five autographs. The release is also notable for its large checklist and plentiful rookies. 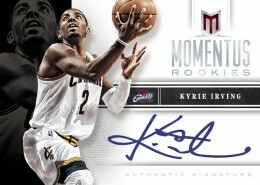 The 2012-13 Panini Momentum Basketball base set is 300-cards big. This includes a total of 85 rookie cards. Drive parallels come with etched foil card stock, making them easy to recognize from the main set. Autographs come in three different sets. 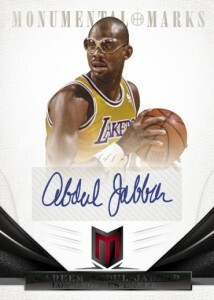 Monumental Marks has 300 cards including retired legends. Rookie card subjects appear in Momentous Rookies Autographs. Finally, there's Momentous Autographs, which features current stars. Force inserts use a die-cut design. 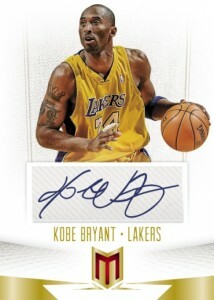 2012-13 Panini Momentum Basketball boxes come with one pack of 15 cards. Nice looking cards probably my favorite set this year. But for the price of these boxes, $160 for 15 cards, I shouldn’t get two base cards in the same box. What a rip-off.